A Regional Proficiency Testing Program for Aquatic Animal Disease Diagnostic Laboratories in Asia-Pacific (the ‘regional PT program’) was developed in 2011 to strengthen diagnostic capability across Asia—a region that produces most of the world’s aquatic animal products. 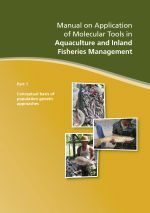 This capability was identified as a requirement to facilitate the sanitary safety of trade in aquatic animal products and to assist countries to improve accurate detection of potentially damaging trans-boundary diseases. The need for improved diagnostic capabilities across Asia was widely agreed and documented prior to developing the regional PT program, however few previous activities had made significant or lasting impacts at the regional level. The regional PT program was developed as an initiative of the Australian Government Department of Agriculture and funded through its International Agricultural Cooperation Program (IACP). Collaborative partners in the program included the CSIRO Australian Animal Health Laboratory (CSIRO AAHL), the Victorian Government Department of Economic Development, Jobs, Transport and Resources–Australian National Quality Assurance Program (ANQAP) and the Network of Aquaculture Centres in Asia-Pacific (NACA). A regional PT program Steering Committee, comprising members from each of the collaborating partner organisations, oversaw program development and implementation. Roles and responsibilities were well-defined for project collaborators to ensure the effective contribution of expertise necessary to manage a proficiency testing program of this scale. NACA promoted the regional PT program to potential participants and hosted a preliminary workshop in July 2012 (funded by Australian Government Department of Agriculture). The workshop provided training on diagnostic standards, proficiency testing procedures and laboratory accreditation and gave participants the opportunity to reach agreement on diseases to be included in the program. Experts from the Australian Government Department of Agriculture, ANQAP and CSIRO AAHL provided instruction at the workshop. Following the workshop, 41 laboratories from 12 NACA member countries participated in proficiency testing for 10 prioritised aquatic animal pathogens of crustaceans and finfish. Outbreaks of disease caused by these pathogens have impacted the aquaculture industry in Asia significantly and rapid and accurate diagnosis is critical for mitigating their impacts. The pathogens selected were (in order of agreed priority): White spot syndrome virus (WSSV), Yellowhead virus (YHV), Taura syndrome virus (TSV), Infectious myonecrosis virus (IMNV), Infectious hypodermal and haematopoietic necrosis virus (IHHNV), megalocytiviruses (e.g. RSIV, ISKNV, GIV), Nervous necrosis viruses (NNV), Koi herpesvirus (KHV), Macrobrachium rosenbergii nodavirus (MrNV and XSV) and Spring viraemia of carp virus (SVCV). Mollusc pathogens were considered at the workshop but were not selected amongst the 10 priority pathogens. Preparation for the four proficiency testing rounds began with the development of non-infectious viral test materials for the 10 priority pathogens. CSIRO AAHL obtained prawn viruses from homogenised infected prawn tissues and finfish viruses from infected cell cultures. Samples were inactivated and fixed in ethanol then diluted into concentrations likely to be encountered in naturally infected animals. Quality controlled test materials were provided to ANQAP to prepare test panels and coordinate their distribution to participating laboratories. As part of the National Association of Testing Authorities (NATA) quality assurance procedures, ANQAP sent blind samples to CSIRO AAHL for homogeneity and stability testing to ensure that the aliquots of small samples were a homogeneous preparation from the bulk stock and expected results would be achieved if the PCR tests were carried out correctly by the participating laboratories. Stability testing confirmed that the sample content had not degraded over time. NACA then coordinated distribution of test kits to participant laboratories. Test kits were prepared with two negative samples and four positive samples (high, medium and low positives). One of the positive concentrations was provided in duplicate (exception was for KHV as this was developed prior to the request for duplicate positive samples) to assess repeatability. Participant laboratories therefore reported six test results per round for each pathogen. Laboratories selected which pathogens to test for and were encouraged to use their standard in-house diagnostic methods used in routine testing. Laboratories submitted their test results to ANQAP who presented the de-identified test data in a form suitable for discussion by the regional PT Steering Committee. Detailed reports were sent to individual laboratories after each round to enable comparison of performance between rounds and identify possible areas for improvement. Reports included the results of all laboratories testing for Department of Agriculture Summary Regional Proficiency Testing Program for Aquatic Animal Disease Diagnostic Laboratories in Asia-Pacific 5 a particular pathogen; however laboratories could only identify their individual test results through a unique code number, all other laboratories’ results remained unidentifiable. Participation in the regional PT program was consistent across the four rounds of testing with 88% of laboratories returning results for all enrolled tests. Over the two years of proficiency testing, a few issues were recognised affecting laboratory participation and reporting. Some of these issues included in-country logistical challenges with specimen transport, inadequate staffing levels or understanding of required procedures, poor access to diagnostic kits and reagents, and suspected transcriptional errors in data recording. Any future AsiaPacific laboratory proficiency testing program should aim to accommodate such issues or plan to minimise their impacts to ensure program outcomes are reliable and of value (e.g. stability testing to account for the potential temperature effects on test samples during transport). After four rounds of proficiency testing, 3564 correct results (86% correct) were reported from a total of 4144 possible correct results. The program outcomes are described by the relative improvements in average scores across all laboratories, incorporating all scores between 0 and 6 for all tests; and are also described by the relative improvement in laboratories reporting all tests correctly; for example, laboratories obtained a score of 6 if all samples within a test panel had a correct result. The relative improvement in average test results varied between 7.2% and 32% for the 10 priority pathogens. Average improvement was greatest for NNV and IMNV (greater than 20% improvement in scores). Average results improved by between 10% and 20% for IHHNV, MrNV, SVCV, RSIV WSSV, while improvement for YHV, TSV and KHV was between 7% and 10% after the four testing rounds. The improvement in laboratories reporting all test results correctly followed a similar pattern with an increase for each pathogen of between 11% and 64% between round one and round four. The greatest increase in laboratories reporting all results correctly was for IMNV and NNV (greater than 50% improvement). The number of laboratories reporting all results correctly for MrNV, WSSV, IHHNV, and YHV increased by 25%, while TSV, RSIV, SVCV and KHV improved by 11% to 25%. 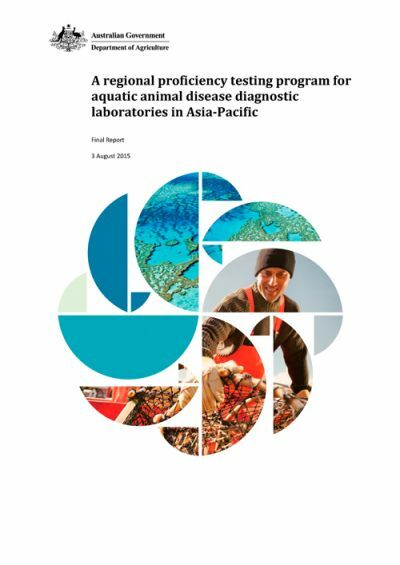 The regional PT program provided 41 laboratories across the Asia-Pacific with the opportunity to assess their diagnostic performance for 10 regionally significant aquatic animal pathogens, and to adapt or modify practices where necessary to improve. Through collective participation and improvement, regional capability to diagnose important aquatic animal pathogens has been strengthened.